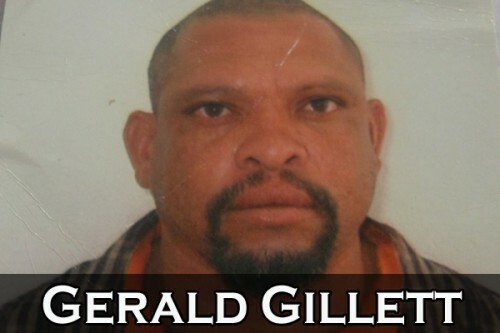 The family of Gerald Gillett, 48, of Bachelor Avenue of the West Landivar area of Belize City, is mourning his sudden death after he was killed in a motorcycle crash while getting a ride from Belize City to his workplace in Ladyville. The motorcycle was being driven by his childhood friend, Duane Pelayo, of Ladyville. Pelayo’s cycle ran into a truck after he lost control of the bike at Mile 7 on the Philip Goldson Highway at about 5:30 Friday evening. Diana Hendy, Gerald Gillett’s sister, said that Friday was their mother’s birthday and that he had gone to their home to spend time with her. The grieving sister told Amandala that after spending time with them that evening, Gerald told them that he was going to catch a bus to go to work in Ladyville, and he left the house. Shortly after, while driving home with her husband, she got a call informing her that Gerald had been involved in an accident. Her husband drove to the area, and he went to see what had happened, and she remained in the vehicle. Hendy’s husband came back and told her that it was indeed Gerald. She said that she was surprised that he had been on a motorcycle, because he did not own one, but the person with whom he had been traveling, Duane Pelayo, was his childhood friend. They used to play marbles together in their yard, she said. Hendy believes that they met while Gerald was walking to the bus stop, and Duane, who owned the motorcycle, offered to take him to work, and he agreed. Hendy said that they have no feelings of resentment about the incident, and believe that Duane was doing Gerald a favor. They grew up together and now died together, she said. She said that Gerald brought happiness to people wherever he went. His death will be a loss not only to them, his family, but also to many others, because he touched the lives of so many. He will be missed greatly, she said. Gerald Gillett is survived by 3 children, his parents, three sisters including Diana Hendy and two brothers, and many other relatives and friends.